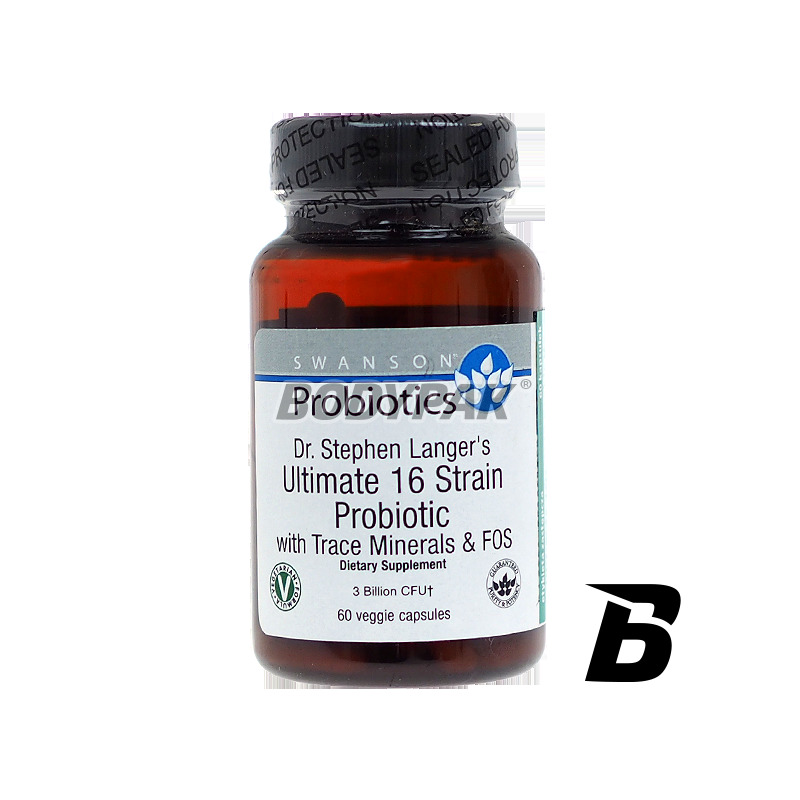 Health & BeautySwanson Ultimate 16 Strain Probiotic with Trace Minerals & FOS - 60 kaps. 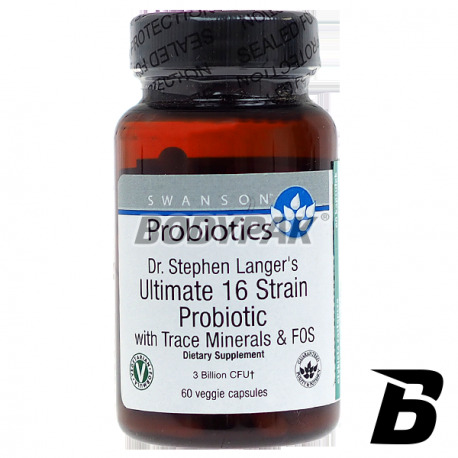 SWANSON 16 Ultimate Strain Probiotic is a supplement containing millions of strains of beneficial bacteria that reside inside every healthy body. Lack of micro-nutrients in our diet is the cause of many diseases of the gastrointestinal tract. This rich ingredients formula supports the immune system, combats negative bacteria and improves gut flora by providing them with new nutrients that are absolutely necessary to maintain a healthy digestive enzymatic processes and the proper functioning of the entire digestive system. Składniki: FOS, ConcenTrace®, Bifidobacterium (longum, bifidum, breve, lactis), Lactobaillus (Acidophilus, brevis, bulgaricus, casei, reuteri, rhamnosus, salivarius), Lactococcus lactis, Streptococcus thermophilus, Bifidobacterium infantis, nośnik: hypromeloza, stabilizator: guma galan, alfalfa, substancje przeciwzbrylające: stearynian magnezu oraz dwutlenek krzemu. Swanson Full Spectrum Alfalfa Seed 400mg - 60 kaps. Alfalfa is used as a general tonic herbal preparation. It works particularly beneficial for the elderly.